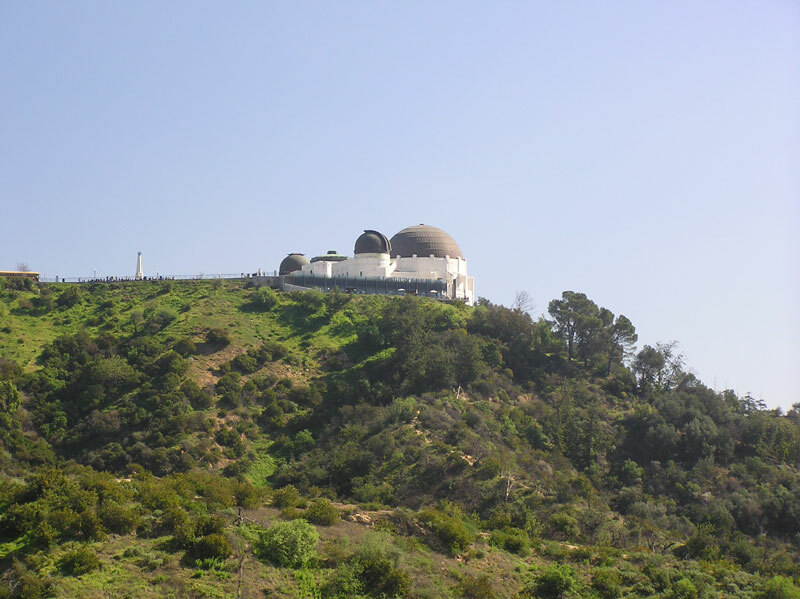 February 9, 2011 - Today we headed into Los Angeles to see the Griffith Observatory. 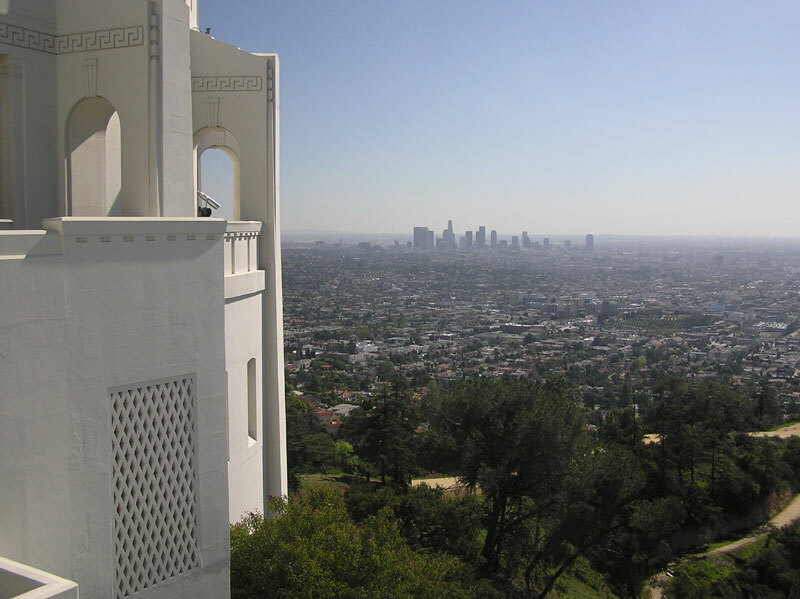 However, first we had lunch at I Panini de Ambra on Hollywood Boulevard. Their paninis are as good as we've eaten in Italy. I had Parma ham and mozzarella and Judy had smoked ham and brie! The bread was to die for. 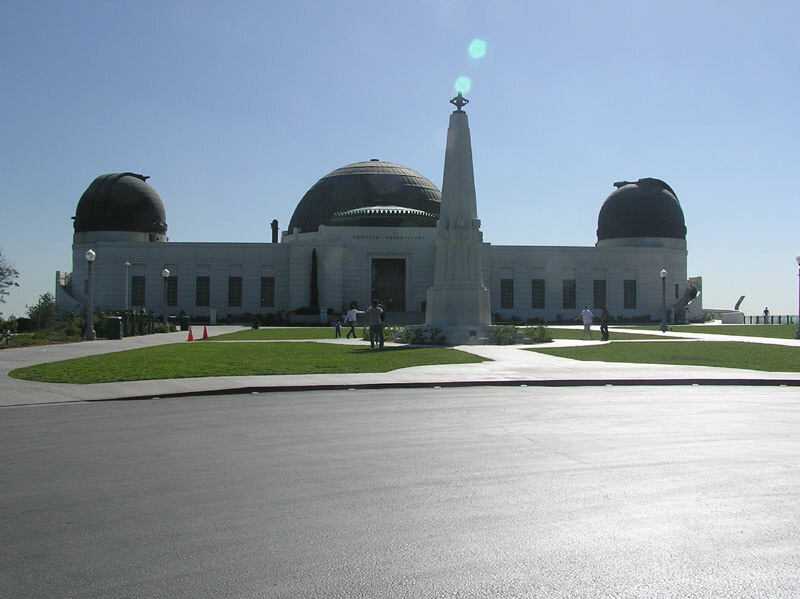 The Observatory is located just north of Los Angeles and is part of Griffith Park. 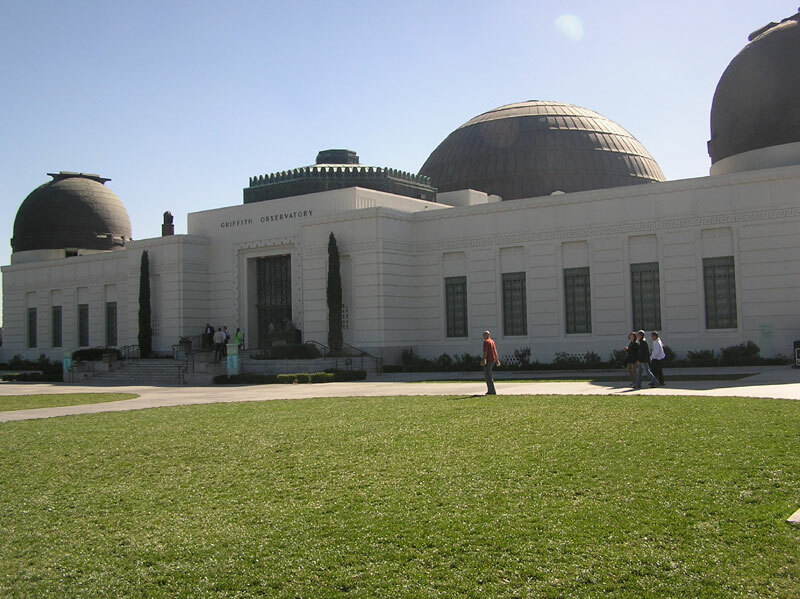 Mr. Griffith J. Griffith deeded the park to Los Angeles in 1896 and left money in his will in 1919 to build the Observatory and the Greek Theatre. 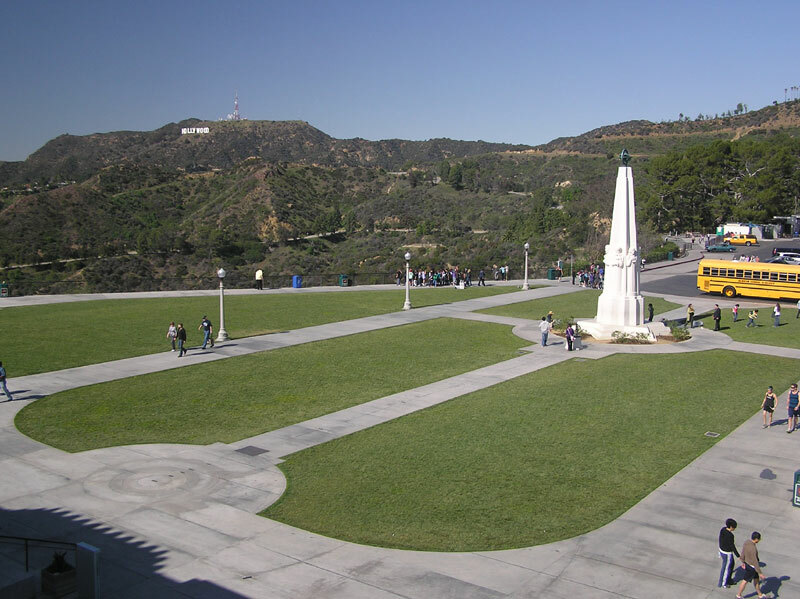 The dome to the left houses their working 12-inch Zeiss telescope, the center dome is the Planetarium and the dome on the right houses their special telescope monitoring the sun during daylight hours. 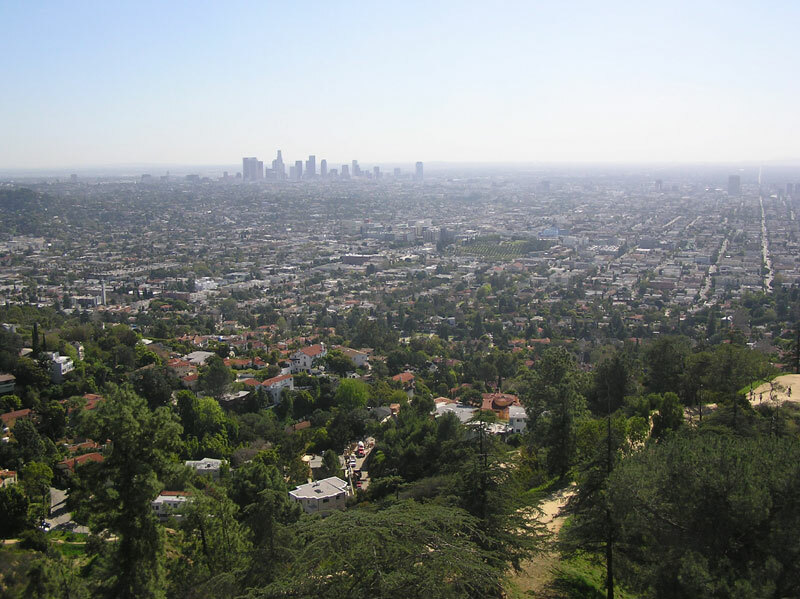 These views shows downtown Los Angeles. 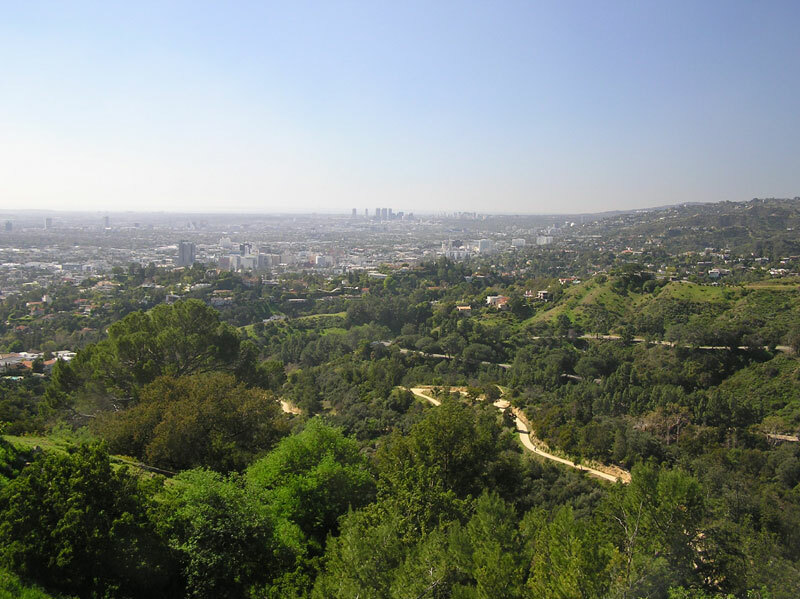 This view shows the high rise buildings of Hollywood just to the left of center and Santa Monica rises in the center further in the distance. 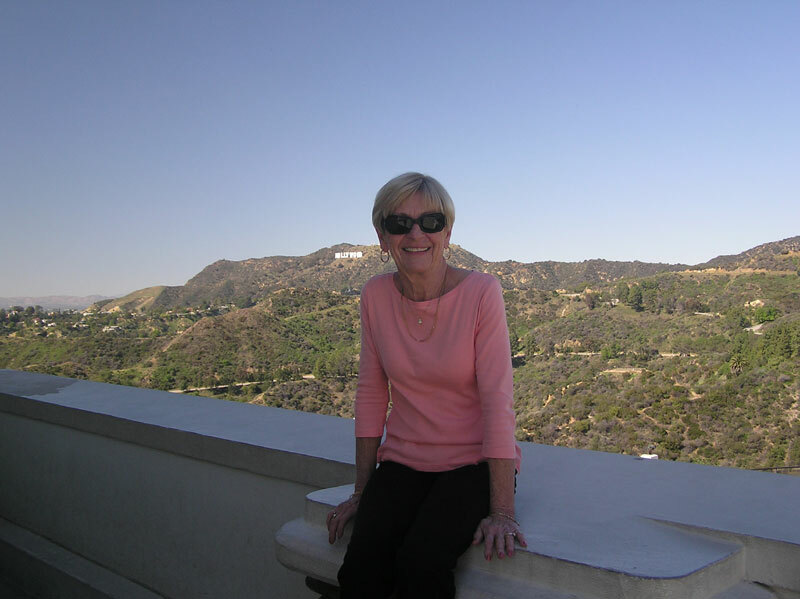 Here's Judy enjoying the sunshine. I almost missed this shot, but Judy pointed it out to me. 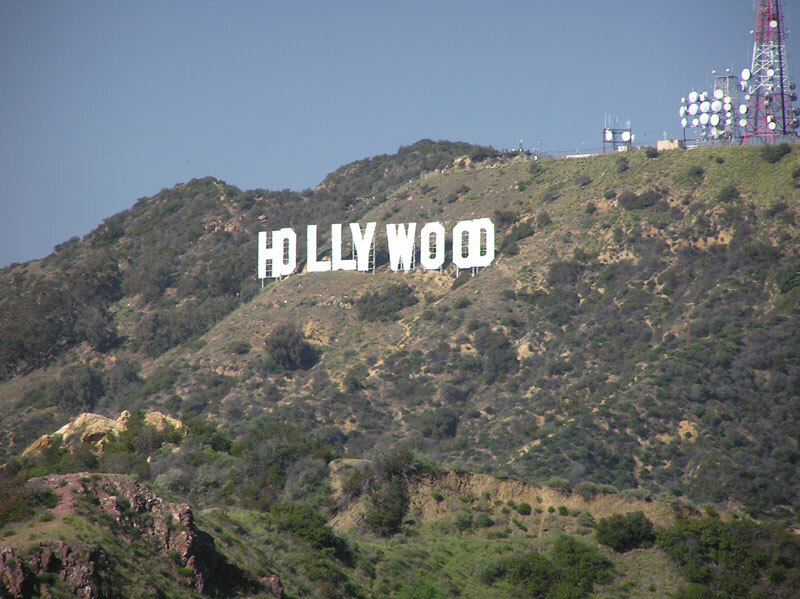 Three teenage girls wondering how their lives will be linked to Hollywood.